Very Good. 0006513778 ALL BOOKS SHIPPED WITHIN 1 DAY OF PURCHASE! Good. 0006513778 ALL BOOKS SHIPPED WITHIN 1 DAY OF PURCHASE! Very Good. 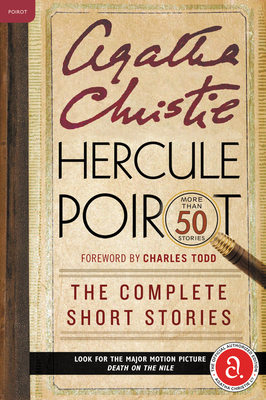 All 51 Hercule Poirot short stories presented in chonological order in a single volume-plus a bonus story not seen for more than 70 years. Glued binding. B-format paperback. 928 p.
Good. All 51 Hercule Poirot short stories presented in chonological order in a single volume-plus a bonus story not seen for more than 70 years. Glued binding. B-format paperback. 928 p.
New. Glued binding. B-format paperback. 928 p.
I loved this book. So fat! lol So many stories, most of them adapted for television. So familiar, and yet so much more detailed than a mere tv script could do justice to. By the end of it I was no longer living in the 21st century, but entrenched in the early 20th. Wonderful!